1. 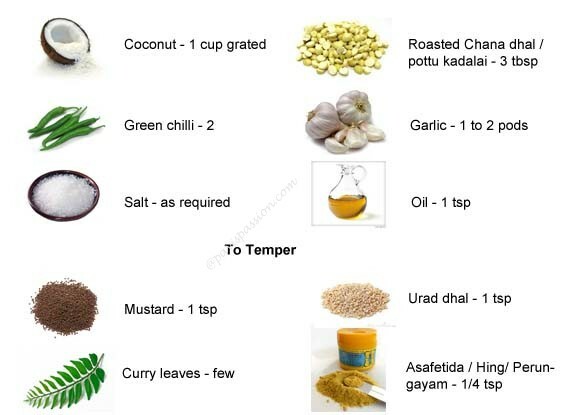 Take a mixer grinder jar, add the grated coconut, Roasted chana dhal, garlic, green chilly and salt. Grind it to a smooth paste by add little water. 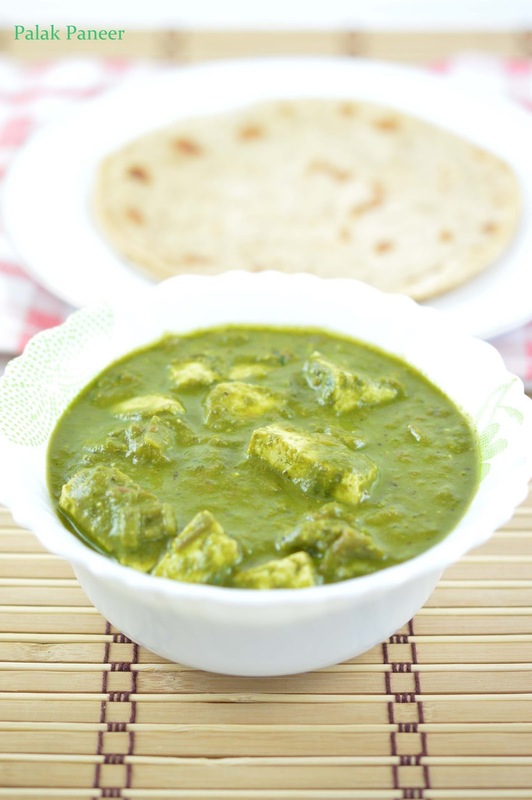 Heat 1 tsp of oil in kadai add the temper items, Mustard seeds, Urad dhal when it sputter add curry leaves and asafetida powder at last and switch off. 2. Transfer the grounded content into a bowl, then add the tempering to it. 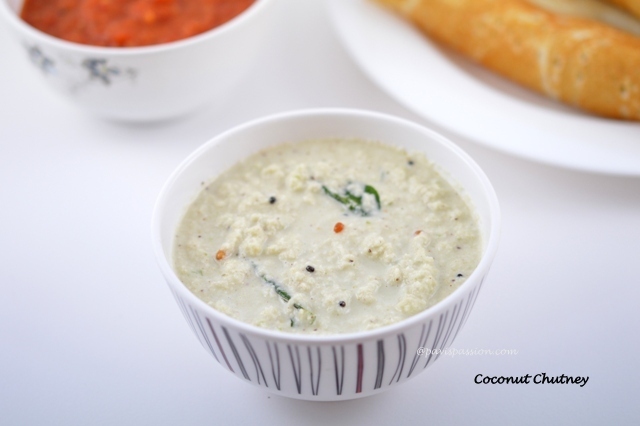 Coconut chutney is ready to serve. 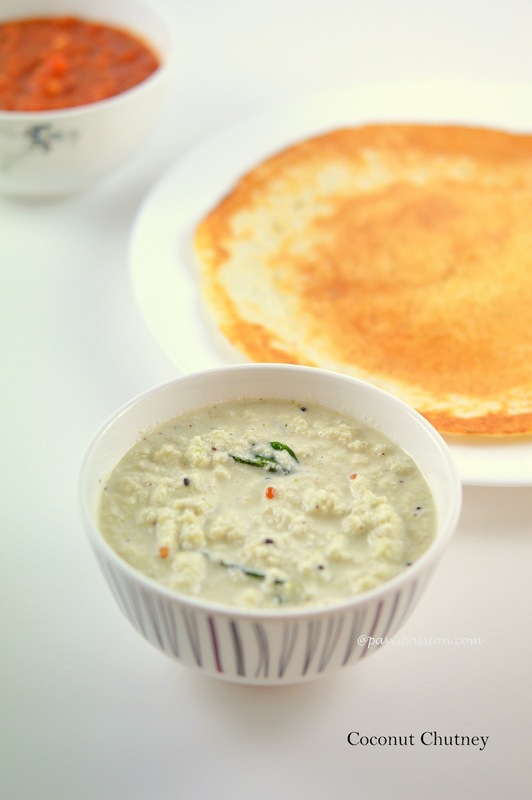 Serve with Hot dosa , idly or upma ..
1. You can Add a piece of ginger along or instead of garlic while grinding the coconut mixture, it gives nice taste and aroma. 2. 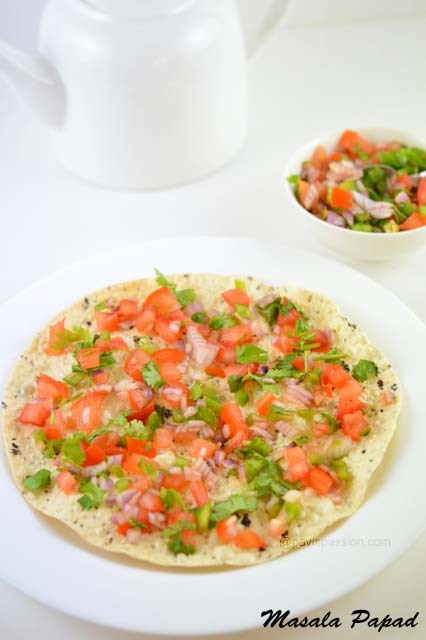 You can Add one small onion while grinding the coconut mixture, it also gives different flavour and taste.